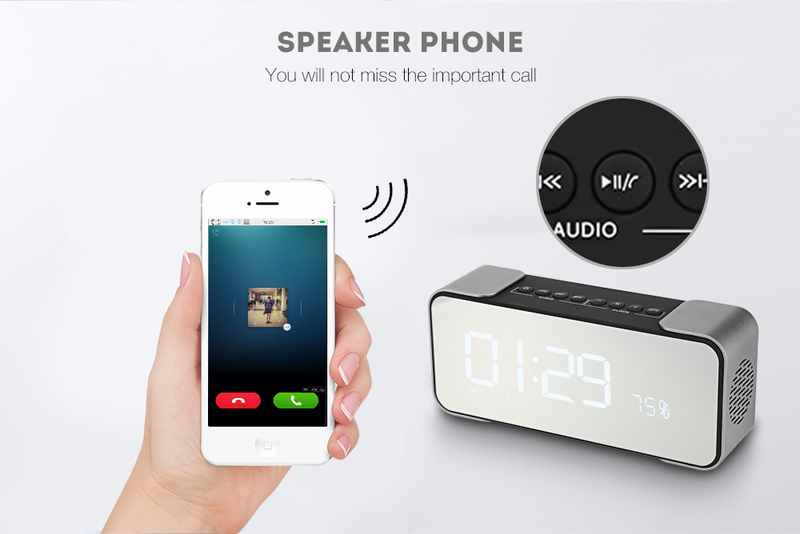 Just need one speaker, you can grasp the functions of FM radio, music player and clock easily. 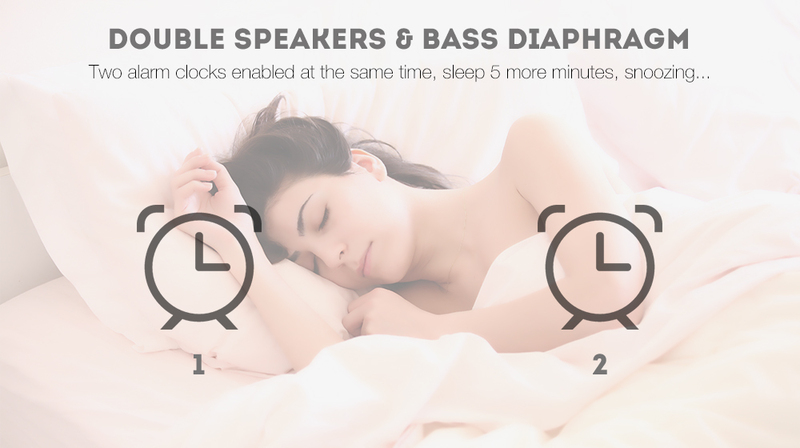 Say goodbye to ticking noise, this mega bass with surrounding sound shows superior sound quality to make you immerse in the world of music. 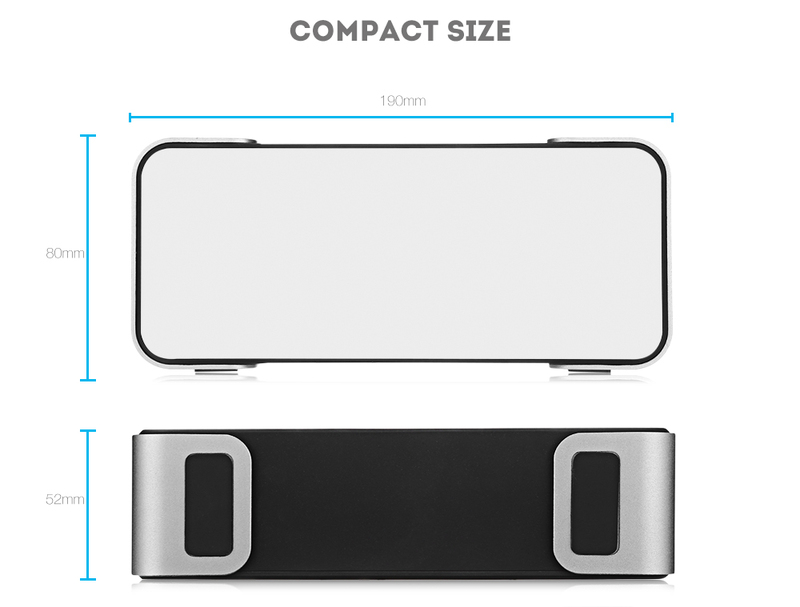 Its convenient LED display shows time and power, the mirror design looks fashion and stylish. What's more, it will be a wireless connection to your devices at ease. 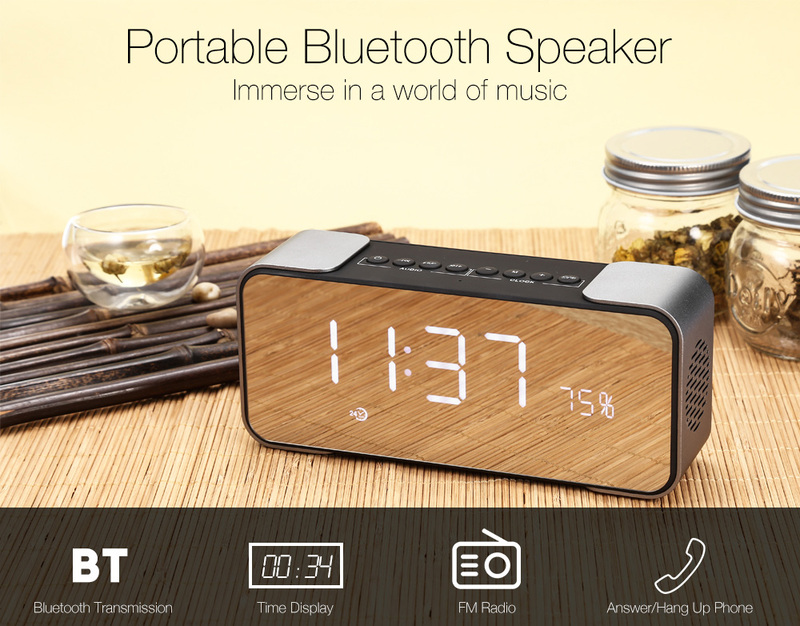 Integrates Bluetooth speaker, FM radio, clock function in one. 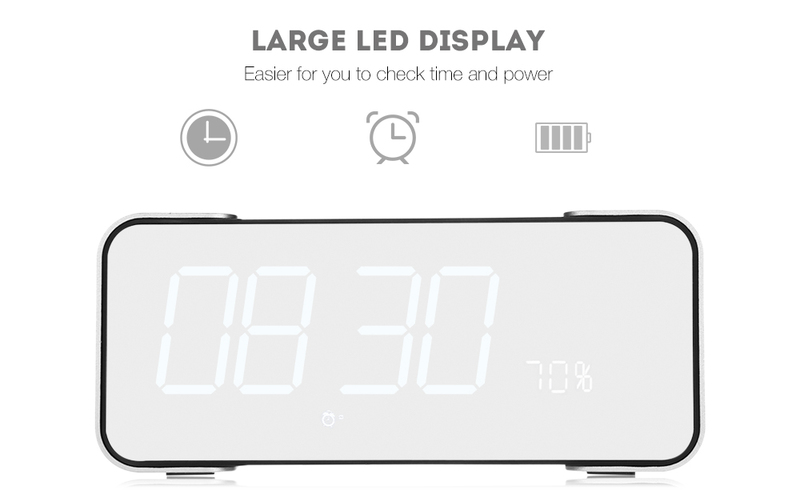 The large LED display lets you see the status of time and power easily. 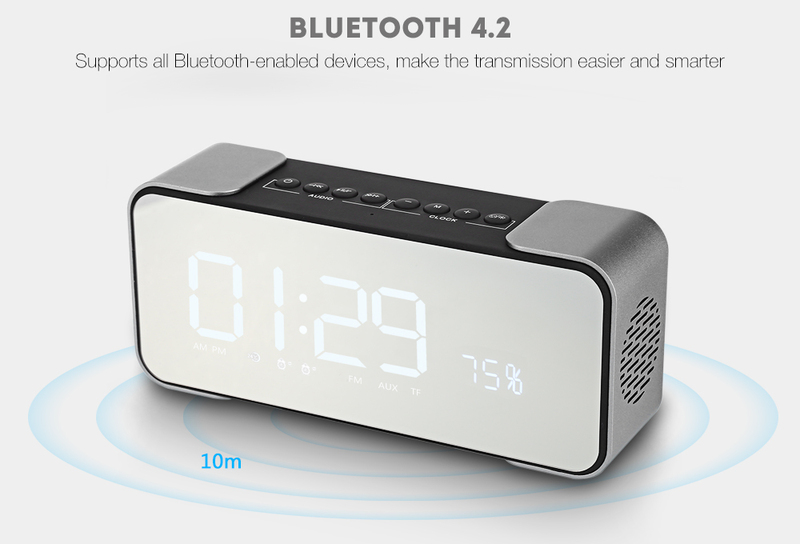 This wireless speaker allows you to set up two alarm clocks at the same time. And you can listen to FM radio about some breaking news and so on. 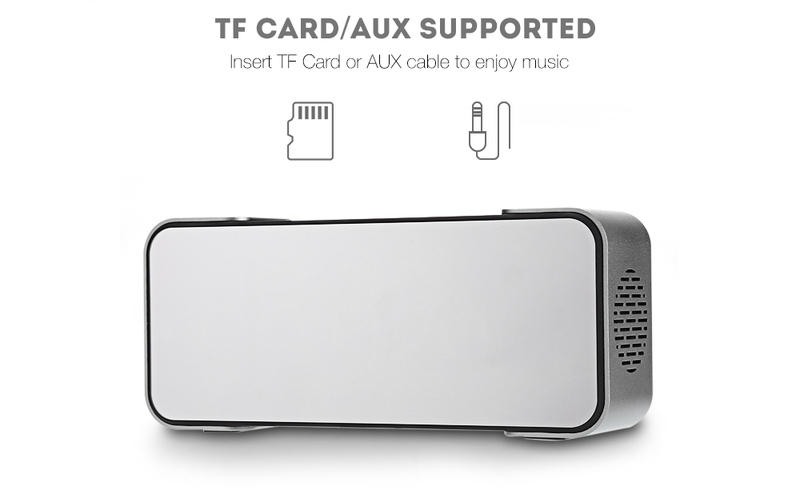 This Bluetooth speaker is solidly constructed and features a big mirror screen that makes it look stylish and dust-resistant. 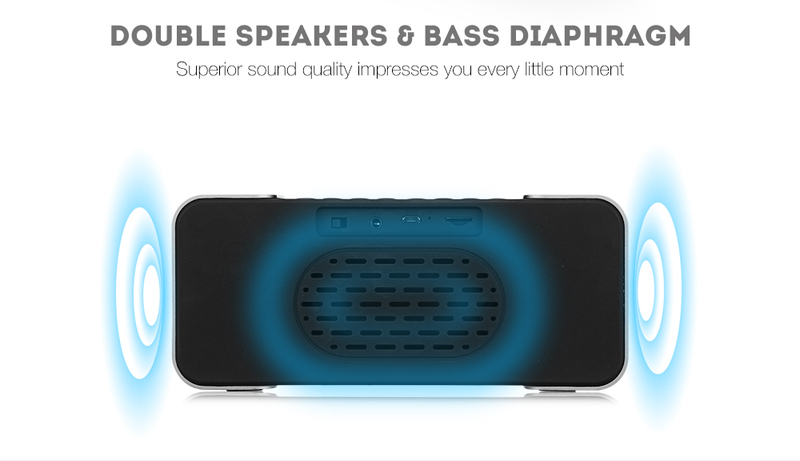 Its stereo surrounding sound, double speakers and bass diaphragm will bring you the most powerful and clear sound. 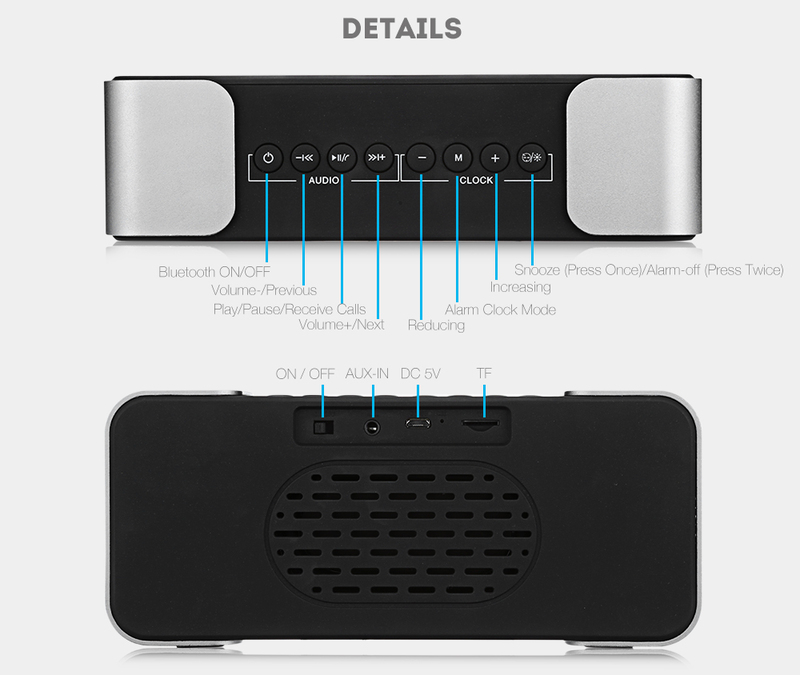 Plays all audio devices through 3.5mm AUX audio port. Built-in high-quality microphone, takes crystal clear calls from your speaker, you don't need to worry about missing your call.